Cleaning your diamond ring properly is paramount to its dazzle. You want those “oohs and aahs” to keep coming, and you most certainly don’t want to damage your diamond while cleaning it. To the surprise of most women, however, damaging a diamond ring can happen quite easily. Luckily, there is a way to clean your diamond ring and leave it damage free–all from the comfort of your home! Diamonds are by no means fragile. In fact, diamonds are the hardest substance on Earth. But that doesn’t mean they can’t be damaged or lose their luster. The natural oils and substances you come into contact with daily can rapidly reduce your diamond’s shimmer. Here are a few tips on how to clean your diamond ring, keeping it as brilliant as the day you fell in love with it, without risking damage to your valuable stone. It is recommended you take your diamond ring to a professional jeweler at least twice a year for maintenance. Between the recommended diamond checkups, learning how to clean your diamond ring properly at home can be useful. Soak your diamond ring for approximately 10 to 20 minutes. After your precious gem has soaked thoroughly, gently brush it with a soft-bristled toothbrush. It is important to keep your brushing efforts away from the setting of your diamond to avoid scratching the gold, silver, or platinum metals. 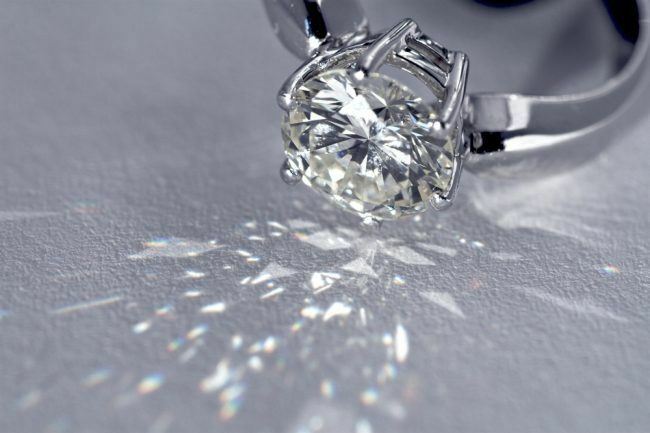 Once brushed to perfection, dry your diamond ring with a lint-free cloth. It is best practice to use a jeweler’s gem cloth. And don’t forget to plug up those drain holes when working near a sink. Cleaning your diamond ring properly is just as important as keeping it safe from daily dangers at home and work. Your hands come into contact with a variety of chemicals, creams, and oils throughout the day. Your diamond ring is a grease magnet, and simply handling it will decrease its fiery brilliance. 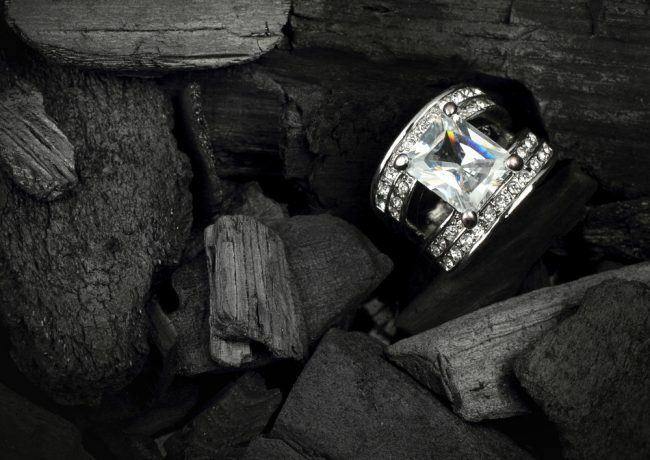 You should steer clear of harmful solutions to keep your diamond ring safe and damage free. Household cleaners like chlorine bleach, along with other cleaning agents, can be harmful to your diamond. According to the Gemological Institute of America (GIA), you should avoid ultrasonic cleaners to clean your diamond ring. These devices can cause your stunning stones to become loose or even dislodged, and repairing a diamond ring can be a risky engagement. You would then need to contract a jeweler for repairs, ideally the same jeweler who created the ring. Tools like these are best left to professionals who are also equipped to check and secure the stones if anything becomes loose. You should steer clear of harmful solutions to keep your diamond ring safe and damage free. Household cleaners like chlorine bleach, along with other cleaning agents, can be harmful to your diamond. The old wives tale about cleaning your jewelry with toothpaste is not recommended for your diamonds either. Along the same lines, you should remove diamond rings before swimming or participating in strenuous activity. Removing your diamond ring from the your finger to apply lotion to dry skin may not be something you want to do. However, doing so could keep your ring cleaner longer, as the oils in moisturizers are one of the biggest offenders when it comes to making a diamond lose its luster. Cleaning a diamond ring doesn’t have to be time consuming or a challenge. With regular jeweler checkups and simple at-home cleaning, your diamonds will continue to dazzle for any occasion.